As some St. Patrick’s Day revelers take their first sip of Irish whiskey to celebrate the holiday, they might be find themselves becoming part of a growing group of people imbibing the spirit, which has seen phenomenal sales growth in recent years. “Everybody’s a little bit Irish on St. Patrick’s Day,” said Tom Pirko, president of Bevmark, a food and beverage advisory firm. “The thing that’s good is it’s like a box of chocolates on Valentine’s Day, and they realize how much the like Irish whiskey and build a habit to do it the rest of the year. St. Patrick’s Day is a portal to get you in and it’s the gateway to getting the adventure going,” he added. 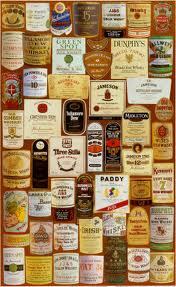 Irish whiskey is currently the fastest growing distilled spirit category, according to the Distilled Spirits Council. From 2003 to 2010, sales of Irish whiskey in the United States have grown 246 percent. In 2010 alone U.S. sales of Irish whiskey grew 22 percent, while the rest of the spirits industry was essentially flat, according to the Beverage Information Group in Norwalk, Conn.
Across the board, Irish whiskey brands have been doing well in the U.S., but Jameson, a brand owned by Pernod Ricard, comprises 70 percent of the Irish whiskey market in the U.S., and Jameson has been the growth driver for the entire category. The brand has nearly doubled its size in the U.S. in the past three years, and late last year broke the 1 million case mark in annual sales.